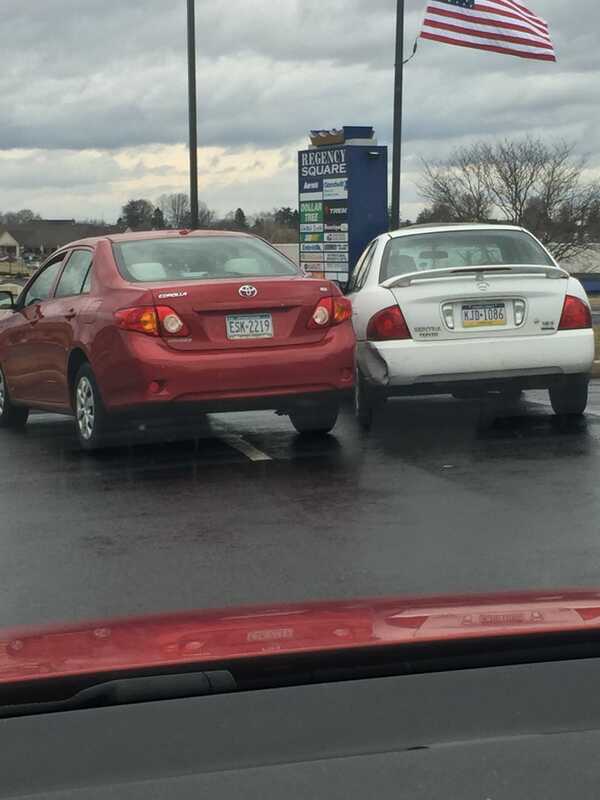 The white car was there first. Red car’s driver was about 90. Took white car’s driver about six tries to get out. Note: Camry dent was there previous to today’s encounter.